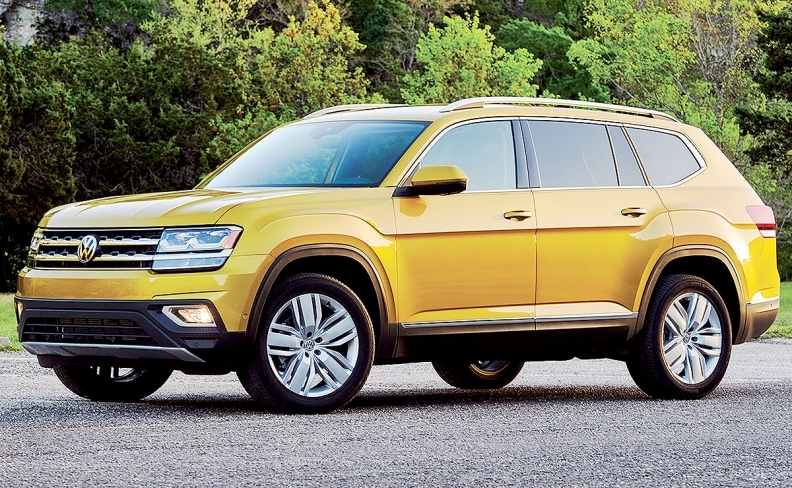 VW expects 2 crossovers to do double duty in U.S.
VW crossovers will do double duty in N.A. The VW Tiguan arrives in U.S. dealerships this summer. DENVER — Volkswagen is offering a warranty on its new Atlas and Tiguan three-row crossovers that is double the coverage of major competitors as part of its strategic push into the North American light-truck market, says the brand's North American head of sales. The two bigger VW crossovers have a dual purpose: They're intended to help the brand better respond to America's love affair with crossovers and help VW meet stiffer U.S. Corporate Average Fuel Economy standards made more difficult by its car-centric lineup. "We are confident that the all-new Atlas and Tiguan have the right features and design elements to be successful and grab market share from the heart of the SUV market," said Derrick Hatami, who recently joined Volkswagen Group of America from Hyundai as executive vice president, sales and marketing. "Combined with our best-in-class warranty and competitive price positions, both the Atlas and Tiguan are very attractive packages," he said. VW's U.S. lineup has long been dominated by sporty sedans and coupes, such as the GTI, Jetta and Passat. But that car-centric lineup has meant a heavier lift to stay in compliance with mandated fleet fuel economy averages. CAFE regulations are easier for auto companies to meet if they sell more light trucks, which fall under different rules than cars. The larger three-row Tiguan will arrive in U.S. dealerships later this summer. 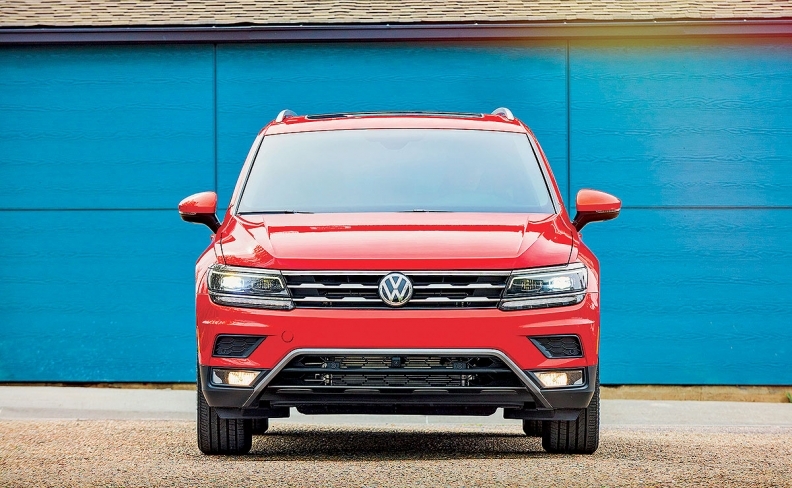 The redesign is more than 10 inches (254mm) longer than the current-generation Tiguan, and features a third row of seating, classifying the 2018 Tiguan as a light truck under federal regulations. It will be available in four trim levels, and in front-wheel-drive and all-wheel-drive models, starting with a base-level S trim at $25,245 and topping out at $40,445 for an all-wheel-drive SEL Premium R-Line, both including delivery. The current-generation Tiguan will remain on sale as the Tiguan Limited at a lower price, which has not yet been revealed. The Atlas will also launch with a transferable 6-year/72,000-mile bumper-to-bumper warranty. Like the Atlas, the redesigned Tiguan will launch with a transferable 6-year/72,000-mile bumper-to-bumper warranty, double that offered on almost every other vehicle in their segments. Hatami said while Hyundai and Kia warranties are similar, the powertrain limited warranty is not transferable beyond five years or 60,000 miles from the date it was sold new. He said VW's six-year warranty is a key message in the Atlas "America" campaign and will also be highlighted in advertising for the new Tiguan.